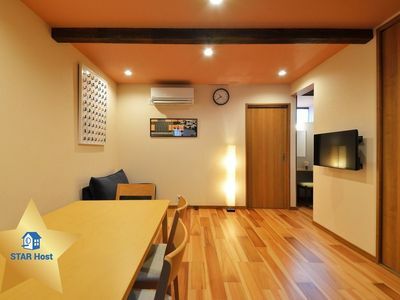 This room located close to Shin-Okubo Station, which is a 2-minute train ride from Shinjuku. 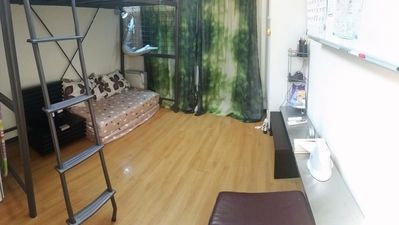 This room is a 8-minute walk from "JR Shin-Okubo Station",and 4-minute walk from "Toei-Oedo subway Line Higashi-Shinjuku station". "Higashi-Shinjuku Station" is just one stop from Shinjuku Station, and also close to Shin-Okubo Station. "Shin-Okubo Station" on the JR Yamanote line,it is no transfer from Shinjuku Station. The building is new apartment, so it is all clean from outside to the inside. The room is elegant and comfortable. You can also go to the Shinjuku Station on foot. It is located in the center of Tokyo, so you can enjoy various sights and shopping and restaurants. It is an easy walk to Korean Town in Shin-okubo, or the Kabukicho district, one of Japan's busiest entertainment districs. 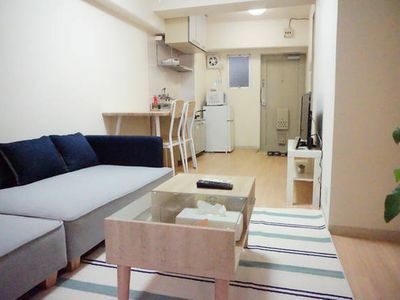 Although it is located in the Shinjuku area, around the apartment is so quiet that you can sleep well at night. 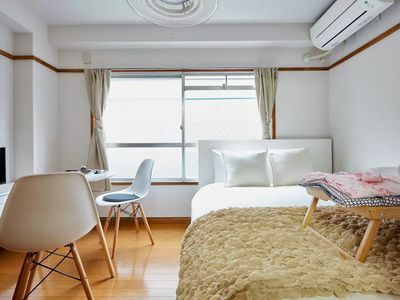 The rooms comes equipped with everything you need for a short to long term stay, so you can relax and make the most of your time in Japan! The building is located in the residential area, so please kindly keep your voices down especially at night. There are convenience stores, supermarkets close by, so you wil have no trouble purchasing any necessities. There is a public bathhouse, and lots of unique and exciting eateries (such as the Robot Restaurant) within walking distance as well. You can immediately go to Shinjuku Golden Gai, a popular area packed with tiny, traditional-style Japanese dining bars,and Korean town of Shin-Okubo. Roppongi, Harajuku, Shibuya,Ginza,Akihabara are also nearby, and there is great access to many tourist areas as well.